For a long time now, I wanted to post my notes of the different masterclasses I assisted during the Pixel Challenge conference, both as a way to have a backup and to share them since it must be useful for someone else. My notes are basically phrases that summarize an idea, generally short and concise. Cameron Fielding - Using reference from iAnimate on Vimeo. On analyzing your reference: What motion describes physicality? Never just assume you know what it looks like. What to look in your reference: Honesty, not subtlety. "It's the quality of the artist interpretation that makes art, not the subject itself"
The pose is king. Motion is secondary to the gesture. Forget about movement, what pictures do I need to understand this movement? Which are my "first impression" images? Capture your first impression images (to summarize the feeling of the shot). Think like a technician (forget about art). Motion is secondary to the gesture. Leave your first impression poses and add the more appealing ones. How to embellish a shot? Depends on your style. Brett Pascal - Camera work and staging from iAnimate on Vimeo. Jump cuts: Background does not change but position of character does. 180 Degree Rule - Hard to break but breakable. Rule of thirds: relationship on the screen. He mentioned that it is possible to have two characters in the same third, to give the feeling that one is over the other. Cutting cameras: cuts needs motivation. Fading cameras: implies passing of time. 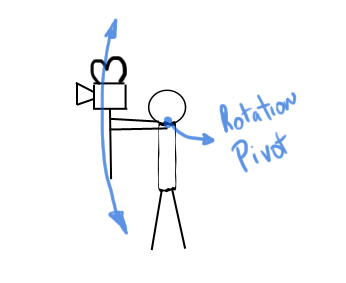 Cameras DO NOT pivot from center of gravity, they pivot from where they are held. Richard Lico - In games animation workflow from iAnimate on Vimeo. Hips get more motion than the head. Do not let the IK animate by itself. Add the kick! Add the kick to your run cycle! I didn't take any notes on this one because I didn't want to miss anything of what Ted was saying. Ted Ty - Genuine acting from iAnimate on Vimeo.